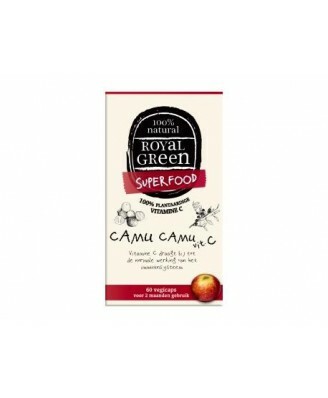 Royal Green Camu Camu offers about 30 times more vitamin C than an orange and the ‘full spectrum’ 100% whole food form ensures optimum absorption and effect. 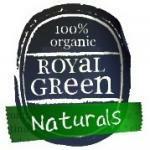 Camu Camu / fruit from Peru (Myrciaria dubia) 500 mg & vegetable cellulose (capsule). Camu Camu is a small tree that can be found in the Amazon. It contains the highest amount of vitamin C of any fruit known on earth and has hundreds of extra plant nutrients such as bioflavonoids, vitamins, enzymes, minerals and amino acids. 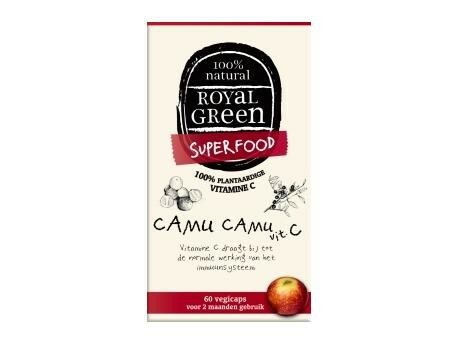 Camu Camu offers about 30 times more vitamin C than an orange and the ‘full spectrum’ 100% whole food form ensures optimum absorption and effect. No Chemicals, No Preservatives, No Synthetic Sweeteners, No Flavour Enhancers, Naturally Gluten-Free, 100% Whole-Food Vitamin C, Bioflavanoids, Enzymes, 100% Pure Camu-Camu, 100% Vegetarian, Plant Nutrients, Highest Concentration.